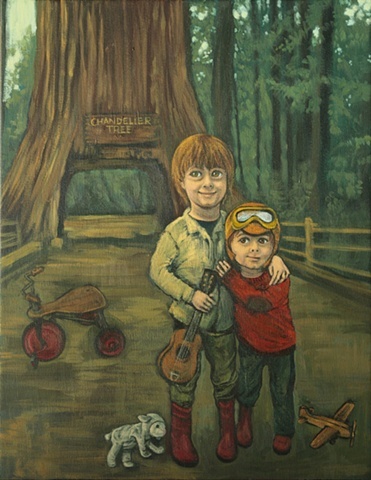 This is a painting of my two sons. It was inspired by a road trip we took through the Avenue of the Giants. The various toys symbolize parts of their personalities and childhood. I also like the double meaning of the "Avenue of the Giants" - a reference to the enormous redwoods and sequoias as well as the colossal fairytale creatures.